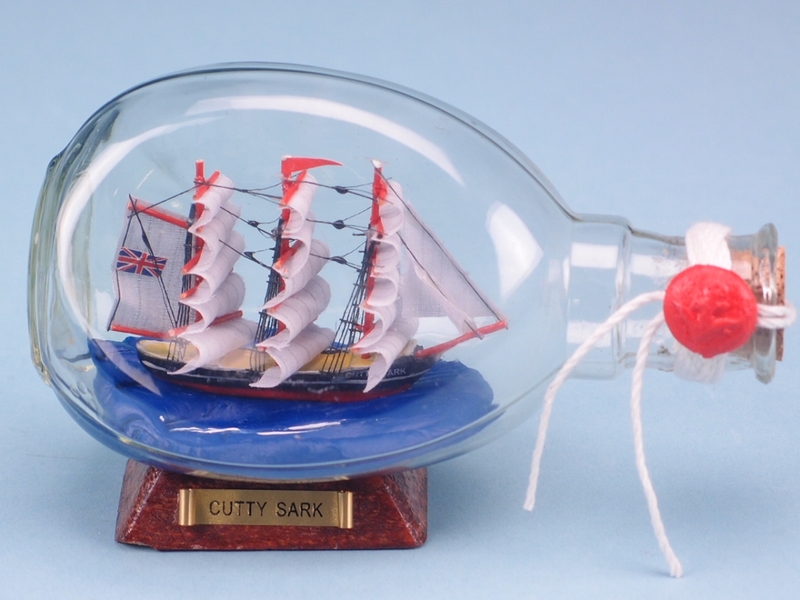 Cutty Sark is a British clipper ship. Built on the Clyde in 1869 for the Jock Willis Shipping Line, she was one of the last tea clippers to be built and one of the fastest too. Looks stunning in a Dimple Bottle at 15cm. 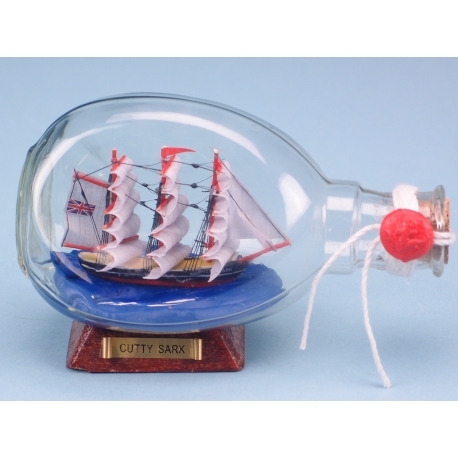 This handmade nautical gift is wax sealed and placed on a wooden stand with a metallic name plate.